The Sahara: a dream-like, far away landscape of Lawrence of Arabia and Wilfred Thesiger, The English Patient and Star Wars, and home to nomadic communities whose ways of life stretch back millennia. Today it's a teeth-janglingly dangerous destination, where the threat of jihadists lurks just over the horizon. Following in the footsteps of 16th century traveller Leo Africanus, Nicholas Jubber went on a turbulent adventure to the forgotten places of North Africa and the legendary Timbuktu. Once the seat of African civilization and home to the richest man who ever lived, this mythic city is now scarred by terrorist occupation and is so remote its own inhabitants hail you with the greeting, 'Welcome to the middle of nowhere'. From the cattle markets of the Atlas, across the Western Sahara and up the Niger river, Nicholas joins the camps of the Tuareg, Fulani, Berbers, and other communities, to learn about their craft, their values and their place in the world. 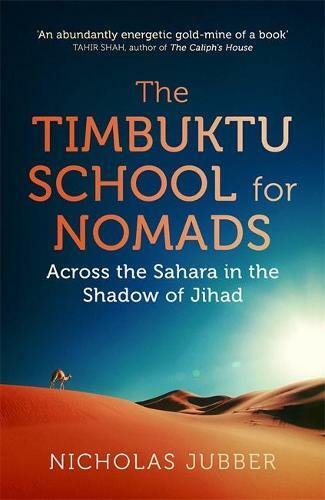 The Timbuktu School for Nomads is a unique look at a resilient city and how the nomads pit ancient ways of life against the challenges of the 21st century.